Julia Geerlings (born 1985, Amsterdam) is a freelance curator and writer based in Amsterdam and Paris. Geerlings studied Art History at the Vrije Universiteit Amsterdam and at the Free University of Berlin. Geerlings writes regularly for Metropolis M, Tubelight, Museumtijdschrift and recently Frieze and she contributed to several publications: like the Rijksakademie voor Beeldende Kunsten catalogue and Kunsthuis SYB biennial catalogue. Geerlings became specialized in presenting contemporary art at unusual locations like a medieval gothic church, a brutalist church, a canal house, a garage and a former WW1 military fort amongst others. 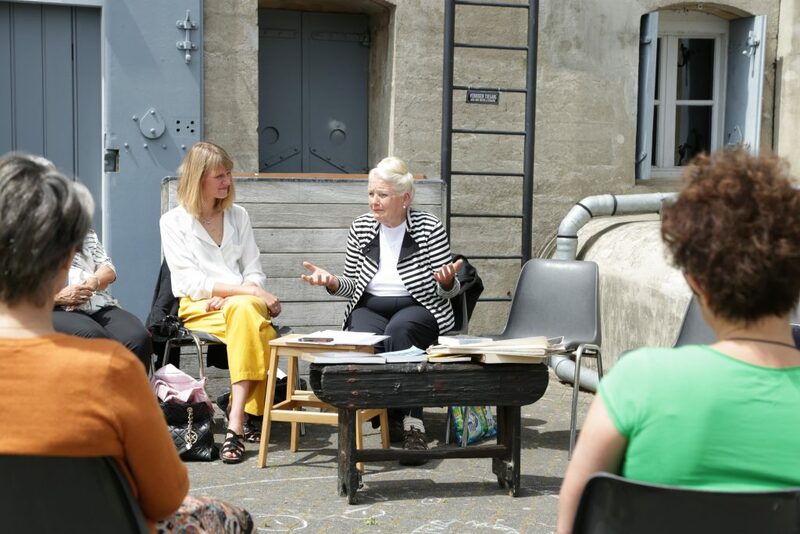 In her curatorial practice she has been influenced by the notions of ‘context responsive curating’, where the location and context (social, economic and political aspects) are included in the development of the project. Geerlings is currently curator of Nachtelijke Dwalingen (Nocturnal Wanderings), a performance program at Oude Kerk Amsterdam, advisor at CBK Rotterdam Research & Development subsidy for artists and resident at ISCP in New York City. At RUPERT Geerlings was involved with a project revolving Dutch artist and writer Louwrien Wijers (1941, NL). Wijers was in the sixties closely related to the Fluxus movement and collaborated with Joseph Beuys. During her life she sought to create a constellation where art, science, spirituality and economy are absorbed in one another, again and again. She moved, as she describes, “from metal sculpture to mental sculpture”, making writing her main medium. The research was later published in Metropolis M magazine on contemporary art.